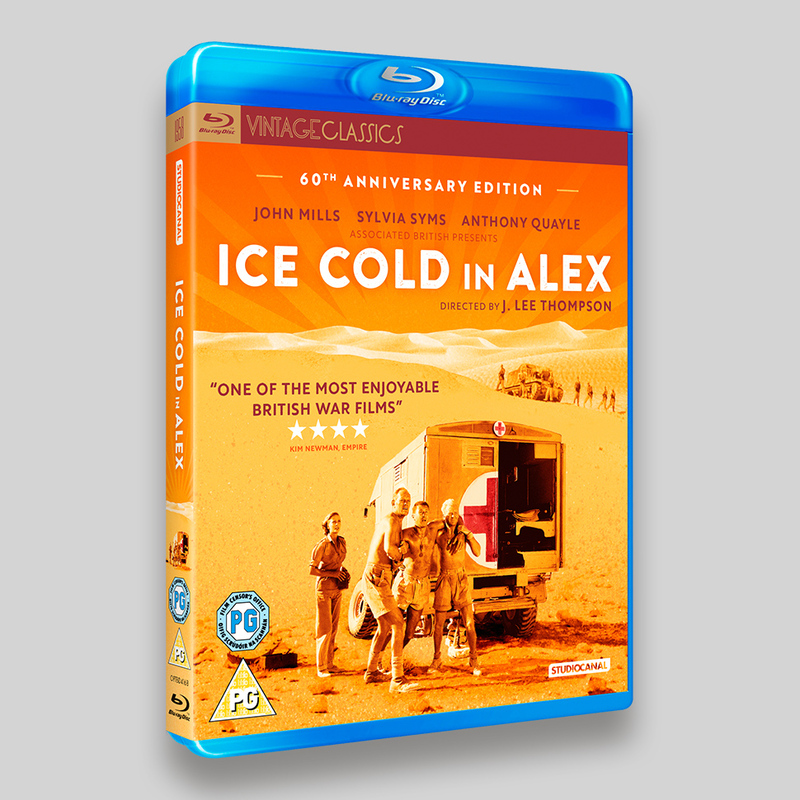 Ice Cold In Alex Blu-ray and DVD packaging for the StudioCanal Vintage Classics 60th Anniversary release. 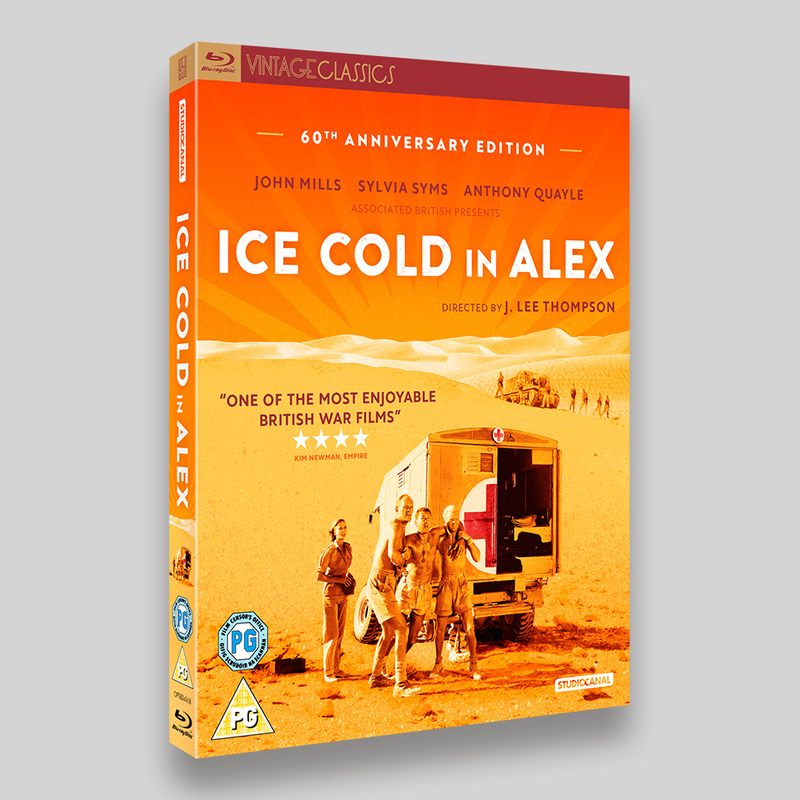 The Vintage Classic releases for StudioCanal have a distinctive style (fro other examples see them here), using areas of flatter colour that resemble vintage posters. 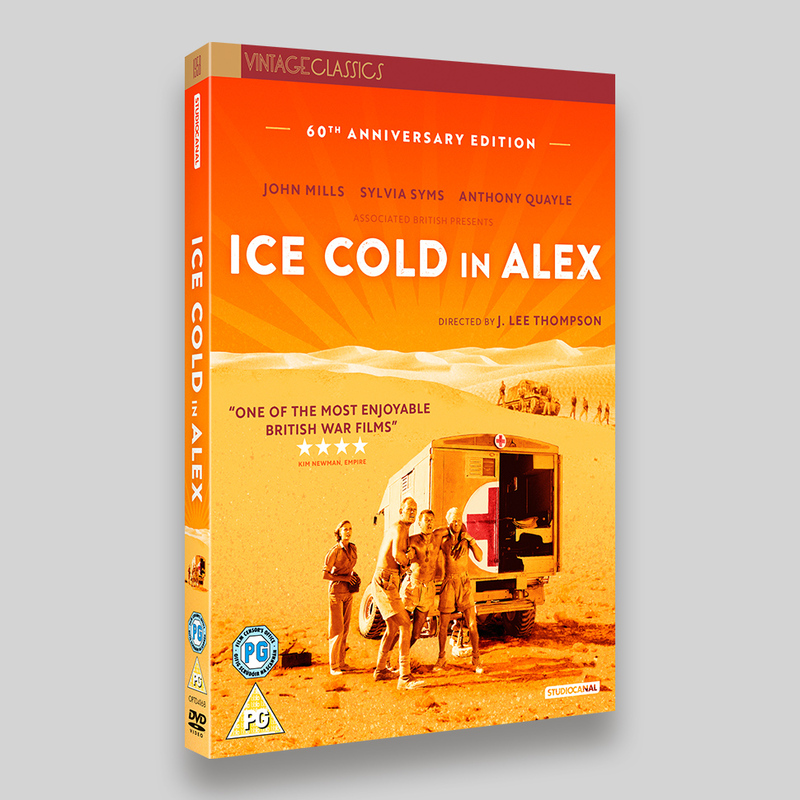 The packaging fro Ice Cold in Alex followed this style with a colour palette that conveys the hot desert sun. In this instance rather than adapt poster artwork or illustrations from lobby cards, there was a great selection of photos to choose from. The images were composited together to form the main cover image. 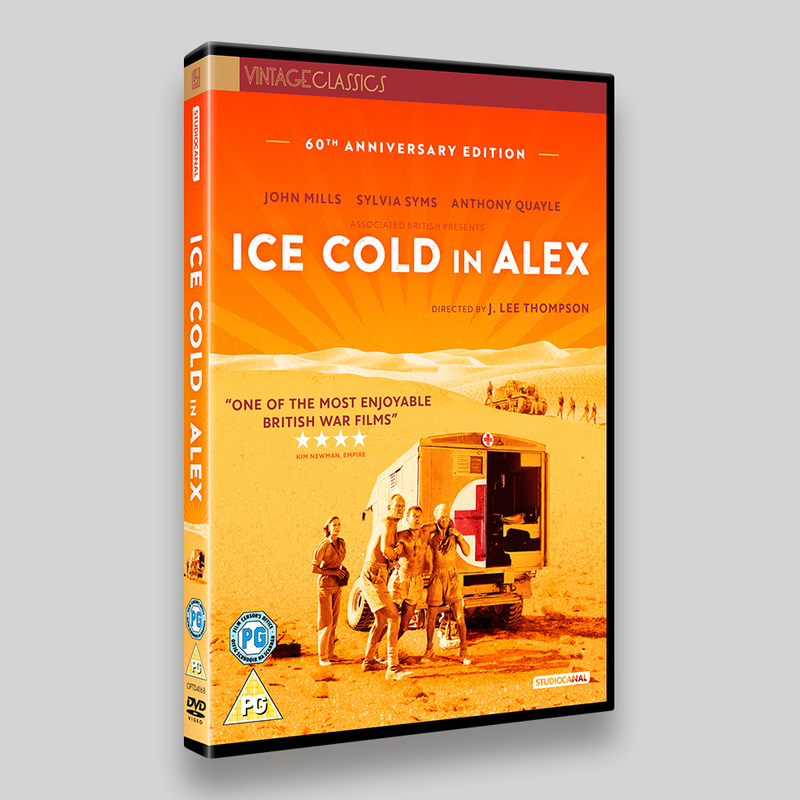 Ice Cold In Alex is set in 1942: The Libyan war zone, North Africa. After a German invasion a British ambulance crew are forced to evacuate their base but become separated from the rest of their unit. Somehow they must make it to Alexandria, but how? Their only hope is a dilapidated ambulance named “Katy” and an irrational, alcoholic soldier known as Captain Anson. Facing landmines, Nazi troops, spies and the merciless, scorching, brutal environment of the desert, can Captain Anson face his demons and make the road to hell a journey to freedom? 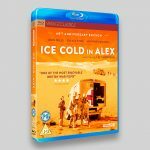 Starring John Mills, Sylvia Syms and Anthony Quayle, Ice Cold In Alex is an action-packed and suspenseful wartime classic. Directed by J. Lee Thompson.